Finally, Erik Grafe of Earthjustice talks about challenging Trump’s attempt to undo the ban on drilling in the Arctic and Atlantic oceans — and winning. The illicit trade in endangered animals and natural resources long predates the current day. But recent technology has changed the fundamentals of this kind of trade. In the past three decades, the use of computers and now social media have ramped up the illicit trade to unprecedented levels. 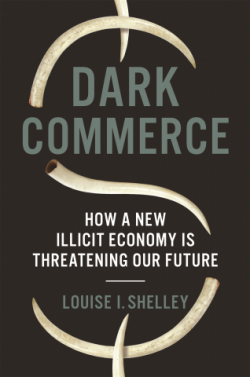 As Louise Shelley shows in her book Dark Commerce, this tech-enabled illegal trade is threatening our very future by undermining the foundations of the natural world that sustains us. Dark Commerce connects terrorism, the capture of international trade by criminal networks and rampant government corruption to mass extinctions, climate change and ecosystems loss. Louise Shelley is Professor of Public Policy at George Mason University and founder and director of the Terrorism, Transnational Crime and Corruption Center. In addition to Dark Commerce, she’s the author of Human Trafficking and Dirty Entanglements, among other books. Links to Find Out More About the Illicit Trade: Tech Against Trafficking; Terrorism, Transnational Crime and Corruption Center (TraCCC) | George Mason University; Global Initiative. This week, President Trump said he would end Obamacare and thereby the health care of at least 21 million people. Then, he backtracked and said he would pass a health care plan that was “better” than Obamacare — after the election. Meanwhile, on the Democratic side, the debate over Medicare for All is heating up. Many 2020 candidates say they support it — although some are vague on what that means. Strong supporters like AOC and Bernie Sanders pledge to protect Obamacare from Trump’s assault while at the same time pushing to replace it over time with Medicare for All, arguing only bold change can mend our broken health care system. But other Democrats are coming out against Medicare For All. Wendell Potter has been on Writers Voice before to talk about his books, Deadly Spin and Nation On The Take. He’s the founder of Tarbell.org, a website that investigates the health insurance industry. 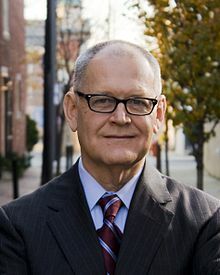 Read a transcript of our interview with Wendell Potter. On March 30, 2019, a federal judge in Alaska ruled that Trump’s push to open up the Arctic and part of the Atlantic oceans to oil and gas drilling is illegal. Ten environmental organizations, including the League of Conservation voters and several indigenous Alaskan organizations, were the plaintiffs on the case. The lead attorney was Erik Grafe of Earthjustice. We spoke with him about the case and continuing dangers to our oceans posed by the Trump Administration.